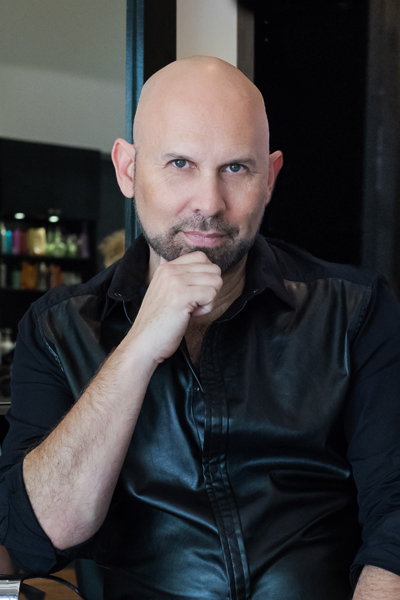 Jeffrey has a unique eye for aesthetics, beauty, fashion and design that helps to drive the high caliber of style and client savvy atmosphere at Salon Oasis of Boca Raton. Creating hair color that works for the individual is Jeffrey’s specialty. His clients’ lifestyles, their desires and the image that they want to project are all talked through as a mutual decision is made about the look, the maintenance, and the next steps for each individual’s hair. Jeffrey utilizes various coloring techniques to arrive at precisely the look he wants. He is as comfortable with high intensity color with a gloss overlay or a balayage accent as he is with multi-dimensional techniques with varied combinations of highlights and lowlights. According to Jeffrey, few things are sexier than healthy, shiny hair that has precisely the right color intensity and movement. It’s not at all surprising that Jeffrey’s persona thrives in his creative, energetic hair salon that is the scene. He began his career in Beverly Hills in the entertainment industry, where he developed a passion for glamour and fashion. His vision for Salon Oasis is to give clients a place where just being there makes them feel good. In addition to seeing client’s enjoy the lounge-like environment, it is his plan for everyone who sits in his chair to feel welcome, pampered and just a little more glamorous.